KIRKLAND, Wash., March 19, 2019 – Kenworth is again making a big splash at the Mid-America Trucking Show (MATS) by displaying its full breadth of trucks, including the recently introduced W990. The new Kenworth W990 will be the center-stage attraction at Kenworth’s booth (#30215). “We’re showcasing three W990s – two fully decked out with 76-inch mid-roof sleepers, and another spec’d as a heavy haul day cab.” The W990 carries on Kenworth’s long tradition of offering the ‘Driver’s Truck. It’s the new look for owner-operators and fleets that want a contemporary interior with comfort features, combined with the look and feel of a long-hood traditional truck. It’s the best of both worlds,” according to Kurt Swihart, Kenworth marketing director. A fourth W990, equipped with a 76-inch sleeper and owned by Fleenor Bros., is in the Dynaflex Products booth (#14112). 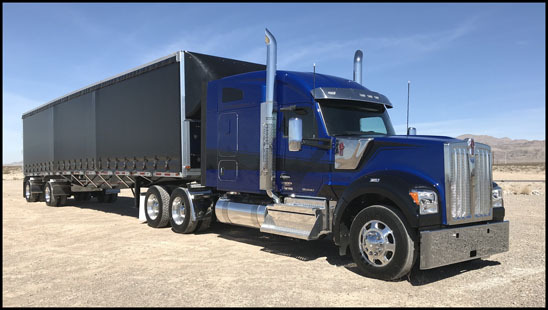 A customized Kenworth W990 with a 76-inch mid-roof sleeper also will be shown at the 30th annual Paul K. Young (PKY) Truck Beauty Championship at MATS. 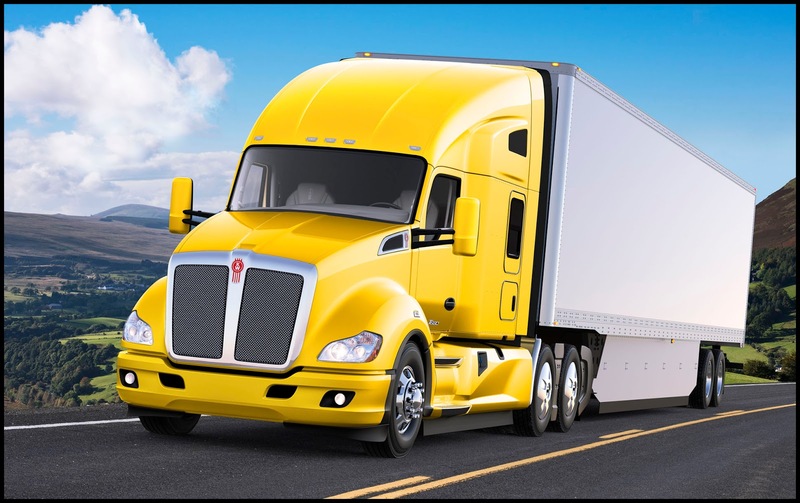 Kenworth’s booth will include two each of Kenworth’s two biggest sellers – the flagship on-highway T680 and T880 vocational leader. 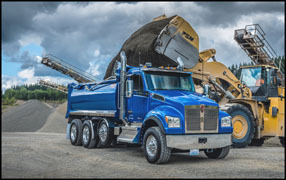 The first T680 has a 76-inch high roof sleeper with the Diamond VIT interior package, and features the PACCAR Powertrain with the PACCAR MX-13 engine, PACCAR 12-speed automated transmission, and PACCAR 40K tandem rear axles. 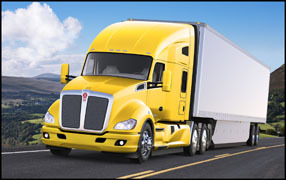 Representing the Kenworth Certified Pre-Owned Program, the second T680 has a 76-inch sleeper and PACCAR MX-13 engine. Certified trucks with PACCAR MX-13 engines are standard with a factory-backed one-year, 125,000-mile engine and aftertreatment warranty, and are also available with an optional two-year, 250,000-mile PACCAR Engines Pre-Owned Warranty. The first T880S is a pure work truck – spec’d with a set-forward axle, featuring a Rogue Dump body and powered with the PACCAR MX-13 engine. The second T880S – a set-forward axle mixer with a PACCAR MX-11 engine -- will be parked by the curb outside the South Wing. Filling out the Kenworth booth lineup is a Kenworth T370 medium duty truck in a 6x6 configuration with a Valew Water Tanker, PACCAR PX-9 engine, and 20K front drive axles. As a bonus, the special “Everyday Heroes” Kenworth T680 – with a 76-inch sleeper and the PACCAR Powertrain – will be shown in the South Wing hall of the Kentucky Expo Center. 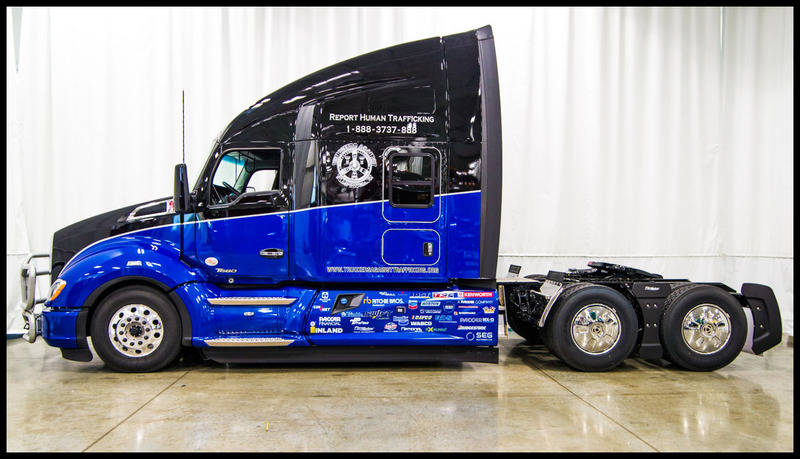 The truck represents Truckers Against Trafficking, which will provide information in Kenworth’s booth on the organization’s efforts to combat the crime of human trafficking.